Bee Part of the Solution | Food It Yourself! Several times in this blog I have briefly mentioned the plight of bees in North America and the world in general. I think it is time I address the issue fully. Bees, our most important and adorable pollinators, are suffering from a cluster of threats. Wild honey bee populations are declining and in some places have virtually disappeared. When pollinators suffer food production suffers. I don’t know about you, but I like food. The United States Environmental Protection Agency (EPA) has a very good write up on the problems facing honey bees. It is not just honey bees which have declined. World-wide, bumblebees are also declining. The Natural History Museum, London, published this helpful article. As you can see, there is a constellation of problems affecting honey bees. One point in these articles that struck me is that some solutions seem to aggravate the problem. When wild bee populations declined, kept bees were hired (so to speak) to keep farms running. Imported bees brought in to pollinate commercial green houses and fields might have introduced virulent parasites. Bees feeding on acres of a single crop might suffer malnutrition. So, what can a DIYeter do? Buying local honey supports local bee keepers who support local bee populations. 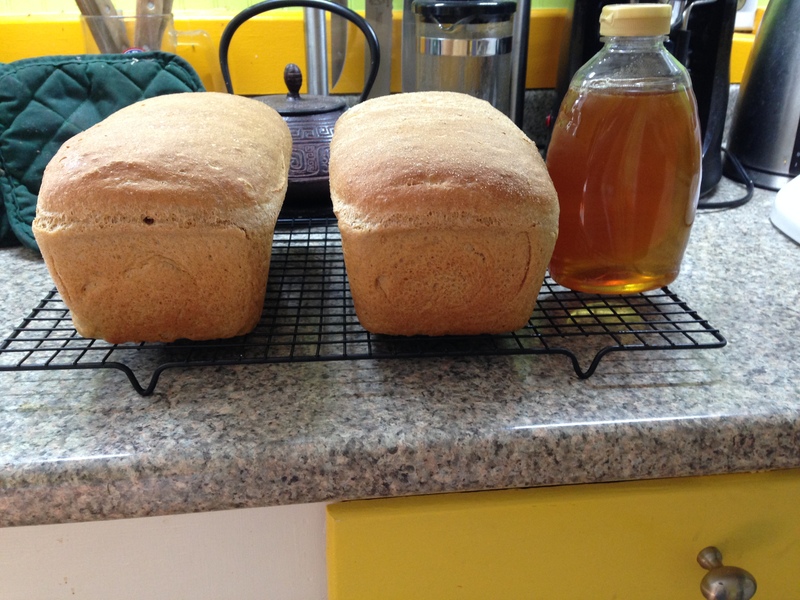 Also, honey makes your bread delicious. CNN, of all resources, has some good suggestions. I especially like the suggestion to use pesticides judiciously. If you’ve ever had a pet with a serious flea problem or if your house has been infested with termites you know that sometimes the bugs just need to die. However, a few beetles on my Rose of Sharon and an earwig or three in my basil? I can tolerate that. (Even though, in my opinion, earwigs are the creepiest looking creatures in all of Creation.) The need to maximize available plant species for pollination cannot be understated, I think. This is one reason why I always advocate judicious use of herbicides, also. Bees need flowers to sip from all season long. Having a variety of wildflowers (fine- they are blooming weeds, okay?) available from early spring to late fall is a benefit. 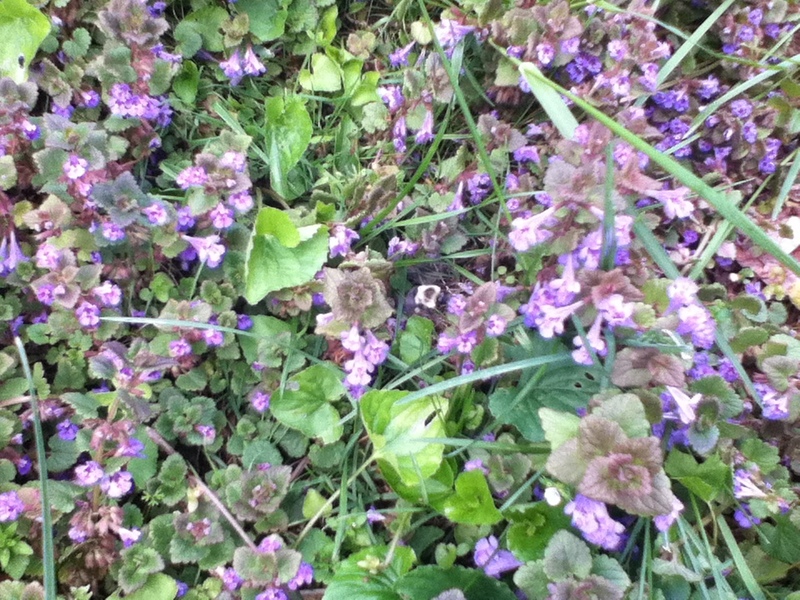 If you are lucky enough to have multiple species of pretty weeds on your property, just keep them there. I am perfectly happy to have a yard that is 80% clover, pennyroyal, violets, evening primrose, and Queen Anne’s lace. You say weeds I say pollinator positive biodiversity! If you are not so well-rounded in weed species, there are plenty of resources to help you please the bees with flowers. Los Angeles based pro-bee and urban bee keeping organization Honey Love has this great list of flowers that attract bees. 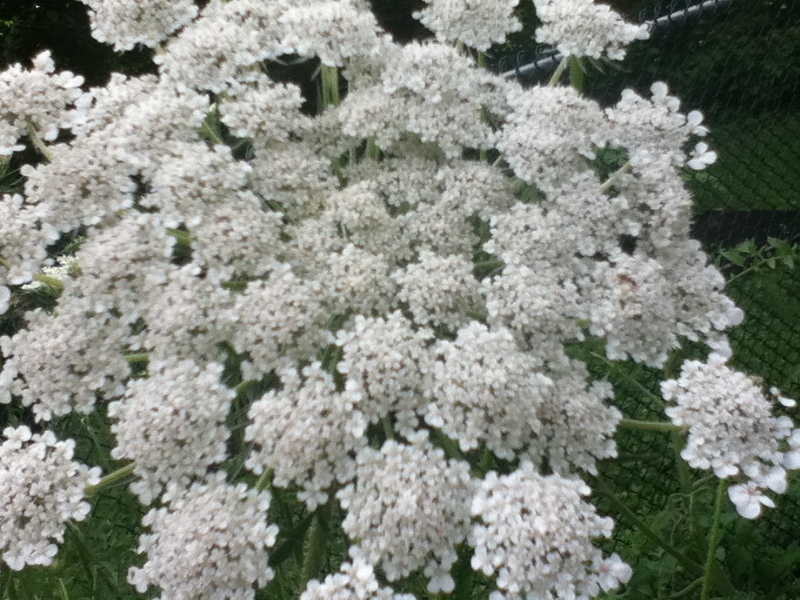 Many seed and plant companies have collections specifically formulated for the attracting of bees. Johnny’s Seeds has this pre-mixed packet. Xerces Society for Invertebrate Conservation has this cool page with links to region-specific mixes for all parts of the USA. 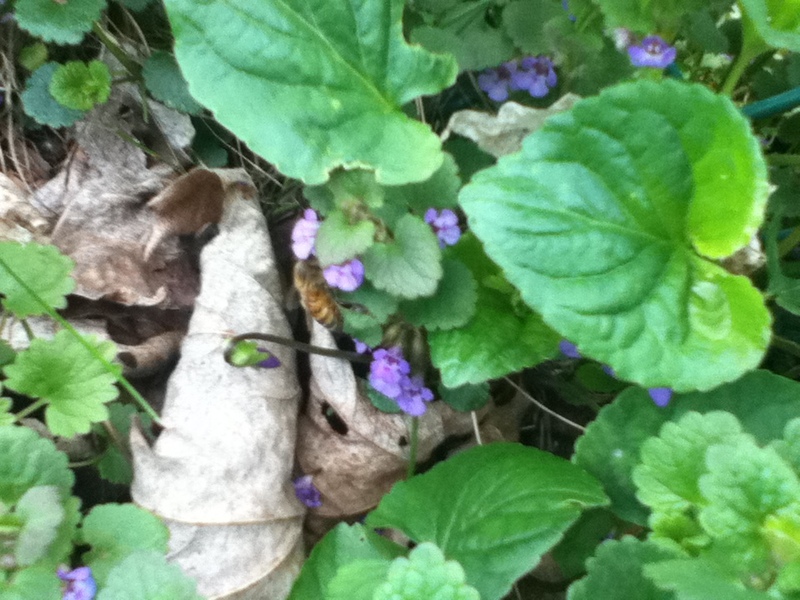 Honestly, though, honey bees will visit whatever is blooming. I’ve seen holly and boxwood shrubs vibrate with honey bees sipping at barely visible flowers. If you plant a variety of plants that bloom then the bees will probably find you. If you are feeling a bit brave, consider expanding the floral diversity in your local “gray spaces” (A.K.A “vacant lots” for those of us who are not millennials) with a little seed bombing. 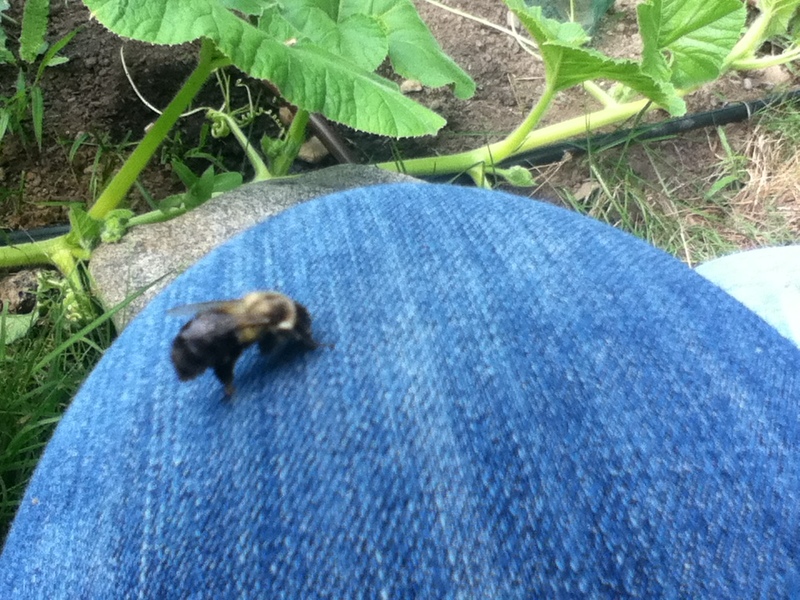 Throw back to 2014- I got a hug from a bumblebee. Bees are good. You should care about bees if you eat food. Show the bees you care! Here are some honey bees enjoying the aptly named bee balm in my garden. If you turn the volume way up, you can hear the buzz.